Are your grammar goofs making you look bad? 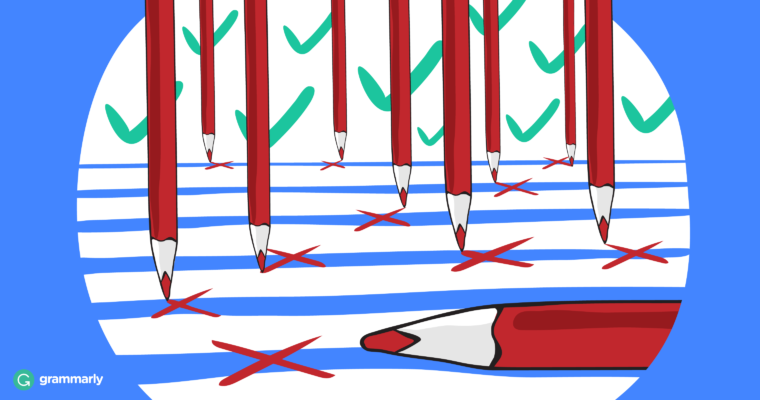 Frequent grammar errors could cause others to question your writing at work. Here’s how to identify and fix ten of the most common offenders. She was still working there then. Let’s have pizza and then go to a movie. Joe is a little shorter than Anna. LEARN MORE: Than Vs. Then–What’s the Difference? If I don’t run faster I’ll lose the race. I seem to lose my car keys every week! Morning muffins are a habit I’d like to lose. After I cut muffins from my diet, I noticed that my pants were loose! The girls forgot to pack their lunches. Park your bike over there. Alex and Sue are coming, but they’re running late. Let’s go to the park this afternoon. How long will it take you to finish that project? Nick wanted to go along, too. Unfortunately, he had too many chores to finish. You left your coffee cup on top of your car. You’re going to be cranky without your dose of caffeine. My landlady had six cat’s cats in her apartment! Make sure to dot your i’s! Here’s a tip: Whether the dots in an ellipsis are separated by spaces is a matter of style. The Chicago Manual of Style calls for spaces, but The AP Stylebook leaves them out and treats the dots as a three-letter word. Whatever style you decide on, be consistent. I saw Mark walking his dog yesterday. Oddly enough, I have seen him walking his cat, too! Sarah went to the dress shop to have her wedding gown fitted. Luke and Jack went out for lunch to celebrate his first day on the job. Luke and Jack went out for lunch to celebrate Luke’s first day on the job. To celebrate Luke’s first day on the job, he and Jack went out for lunch. After the cat vacated my pillow, I gave it a good fluffing. I gave the pillow a good fluffing after the cat vacated it.